Spend 8 months studying screenwriting. Graduate with a diploma, multiple short scripts, and a feature screenplay in your portfolio. InFocus Film School’s Writing for Film and Television program immerses you in the world of screenwriting. Spend 8 months being mentored by industry professionals and award-winning screenwriters. Learn to develop characters, write authentic dialogue, and properly format scripts. 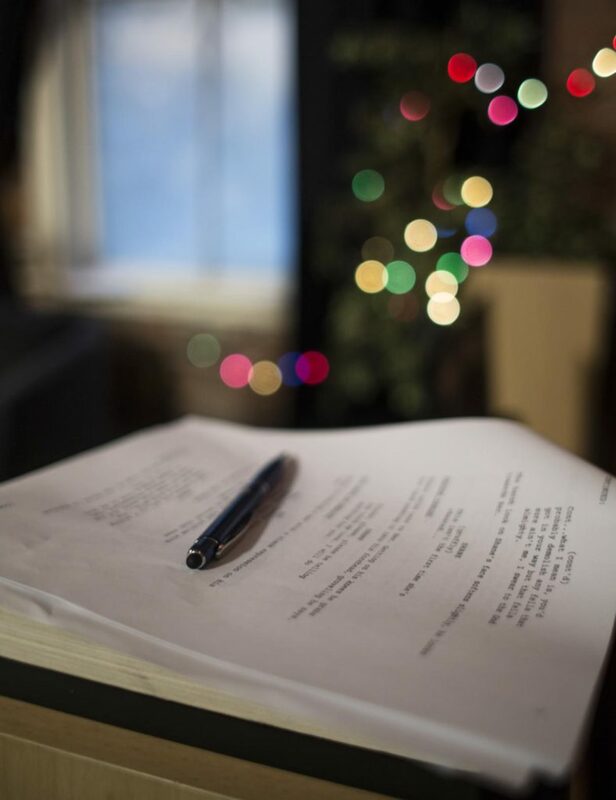 Build your skills with 8 portfolio projects including multiple short film scripts, a TV pilot with a series bible, and a full feature film screenplay. At InFocus, you are joining a community of mentors and peers that are dedicated to your success, both during the program and in launching your career after graduation. You’ll receive personalized training and support, employable skills and knowledge, and on-going assistance after graduation, leading to an excellent job placement rate for InFocus graduates. An original pilot script is still considered the best route to gaining a toehold in the industry. Develop and write your own 30- or 60-minute television pilot script along with a supporting series bible. Factual television has grown to be one of the largest and most popular genres of TV. You will learn how to develop and write an outline for a non-fiction series–the key document for pitching your show to broadcasters. To be a successful screenwriter you must gain the skills to sell your scripts. You will gain hard producing skills such as budgeting and scheduling to build a pitch package that will entice studios and get your scripts made. One key goal of this program is for your script to emerge as a realistic contender for production. Write your own screenplay for an original, marketable feature film, the true mark of a screenwriter. In addition to your feature film screenplay, you will also develop and create an outline for an original MOW, or Movie-of-the-Week, a key source of employment for film writers. Located in a heritage building in downtown Vancouver’s culturally vibrant Gastown neighborhood, InFocus Film School has been at the heart of Vancouver’s film industry for nearly a decade. Film is one of the largest industries in Vancouver and we maintain an 87% success rate placing alumni in jobs. In just 8 months, your film could be one of the productions often seen shooting outside our windows.